A stylish loft separates the living area from the sleeping area. The sleeping area has a comfortable double bed. The Italian marble bathrooms are all equipped with bidet, shower or bathtub, hairdryer and courtesy service toiletries and towels. 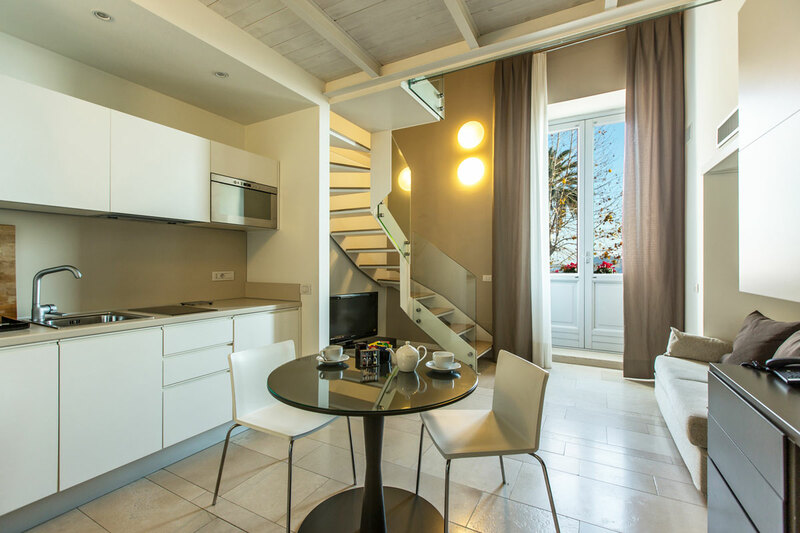 Apartment Superior: Suitable for stay for one or two people.